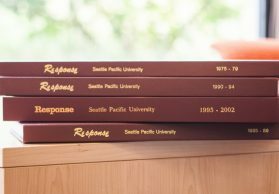 It’s been my joy to work on Seattle Pacific University’s Response magazine for the last seven-and-a-half years. During that time, I’ve spent many hours listening to the amazing stories of this community and doing my best to tell them faithfully. What an incredible privilege it has been to spend that time among students, faculty, staff, and alumni who bear witness to God’s work in the world and are truly living out SPU’s mission to engage the culture and change the world. Though I am leaving to pursue a career change, the people of this place and their stories will stay with me forever, as they’ve shaped my soul. 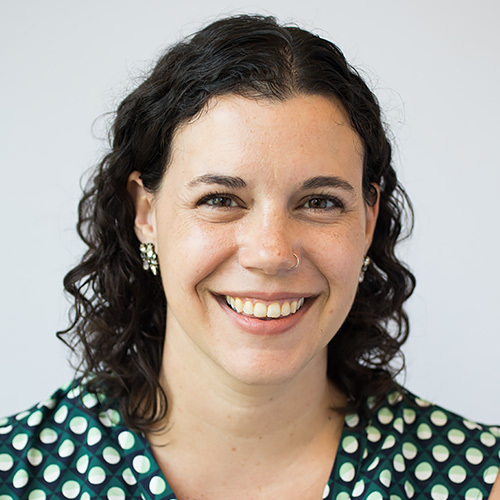 I’m thrilled to introduce the new Response editor, Ruth Moon Mari, to the SPU community. 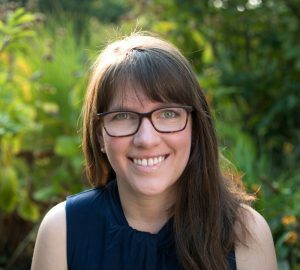 While new to the position, she’s not completely new to editing Response, having filled the editor position a couple of years ago when I was on maternity leave, and written a number of stories as a freelance writer. She’s covered topics such as Student Life at SPU, orphan care, and the Freedom Schools program. Ruth is a gifted writer, researcher, editor, and thinker. 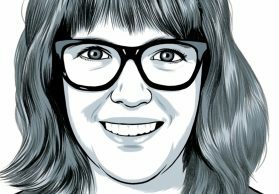 She has the editorial acumen to bring out the best in other writers, the research skills to gain deep knowledge of a subject, and, best of all, the ability to tell a great story. In addition to editing Response, Ruth is completing her doctoral degree in communication at the University of Washington. She spent most of this past year in Rwanda conducting fieldwork for her dissertation, which looks at how journalists do their work. 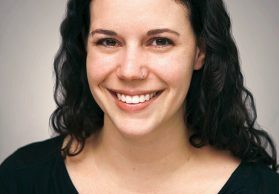 In addition to Response, she has also written for Christianity Today, Relevant, CT Women, The Virginian-Pilot, and the Colorado Springs Gazette. I’m so excited to see what Ruth’s creativity and leadership will bring to this magazine — and eagerly await my next issue of Response as a reader! Here are a few questions I asked Ruth so the SPU community could get to know her a little bit better. How did you get interested in journalism? The people who think they have ordinary jobs and lives always seem to have profound stories and perspectives. It just takes the right questions to start finding them. When I showed up at Wheaton College for orientation I knew very little about Christian higher education. Through my four years there taking English classes and science classes, working on the school newspaper, and traveling to HoneyRock — Wheaton’s version of Camp Casey — I experienced the ways living in a small community created around a shared faith identity has a powerful impact on the ways college-age students mature into adults, intellectually, emotionally, and spiritually. This impact can be harnessed for good when those students go on to do good in the world, and I am eager to help tell the stories of how SPU does this, on campus and beyond. Tell me about your research. How did you get interested in international media? Journalism in the U.S. has a lot of power, and powerful people know it — just look at President Trump’s Twitter feed from the past year. I doubt he would bother to call out “fake news” if news produced by The New York Times, CNN, and other outlets was not going to impact people’s perceptions and opinions. I am interested in the ways journalists try to claim that power for themselves in contexts where the government is strong and journalism itself is poorly organized. What is one of the stories you’re proudest of having written? I like stories that tell the story behind a story or that tell a story that has been right under readers’ noses but they hadn’t noticed it before. One story I’m proud of that tells the story behind a story is this article in Relevant, which looks at the reasons the Seattle-based Mars Hill Church fell apart in 2014. 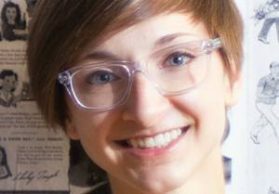 One of my sources for this story was SPU sociology professor Jennifer McKinney, who has studied the growth and decline of Mars Hill. I also like this story I wrote about a bootmaker in Colorado who is one of the last to craft his boots from start to finish by hand. I had to convince a skeptical editor that the story would be worth a whole day of driving and reporting — and I’m glad I did. Who is one of the most interesting people (or some of the most interesting people) you’ve ever interviewed? The most interesting people I interview are almost always the most ordinary ones. The famous people think too hard about what they want to say, and then end up not saying very much. The people who think they have ordinary jobs and lives always seem to have profound stories and perspectives. It just takes the right questions to start finding them. What do you find interesting about SPU? What do you want to know about SPU? I like SPU’s approach to faith. It seems to be open to questioning and interaction with other faith traditions while still sure of its foundations in an evangelical, orthodox, Wesleyan tradition. I am eager to learn how that alumni incorporate that approach into their lives. I also want to know the best shortcuts to avoid all the hills on campus. What kinds of stories are you excited about telling in Response? I want to tell stories of ordinary people doing interesting things as they live out SPU’s mission. I also want to tell stories that reflect the life happening around us. If you have any ideas, please let me know by sending an email to response@spu.edu. I’m thrilled to edit this magazine. As so many publications shift to web publishing, paper holds more and more value as a tangible artifact — something you can hold and touch as you flip through the pages; something that can hold your attention for longer than the few seconds you read a screen before clicking on the next hyperlink. Note: As this issue was headed to press, the SPU community learned that student Tristan Kern died as a result of a hiking accident. This tragedy is a somber reminder that our outdoors can be dangerous and unpredictable as well as beautiful and welcoming. As the SPU community mourns Tristan’s death, we look forward to a new creation where, to paraphrase Revelation 21, God lives in our neighborhood and wipes every tear from our eyes.